In warmer, more humid climates, early spring brings the riotous colors of large azalea bushes so beautiful people take garden tours to admire them. 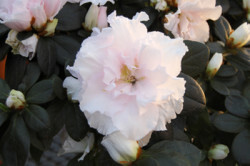 In northern New Mexico we are limited to “florist” azaleas which make gorgeous houseplants to cheer us up throughout the winter. Their glossy, dark green leaves and sumptuous, colorful blooms—in white, pink, red, rose and bi-colors—make them a perfect long-lasting gift. 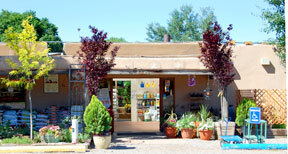 Place the plant in a spot where it can receive at least 6 hours of bright, indirect light each day. Avoid full sun. 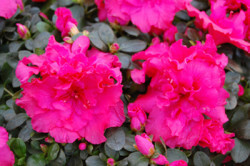 Azaleas prefer cool locations with temperatures of 50-65°. Keep them away drafts as well as away from heating vents and radiators. 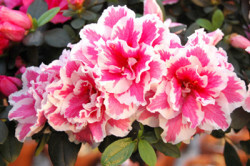 Water the azalea daily — do not let the soil dry out. A good method is to soak the entire pot in a sink or bucket full of lukewarm water until the soil stops bubbling, then let the pot drain. Mist plants daily during flowering season. 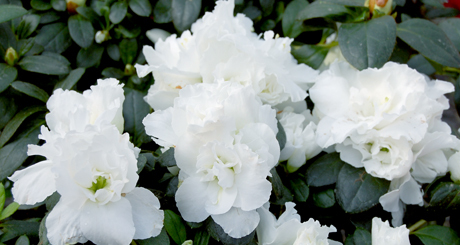 Feed every two weeks with a fertilizer specially made for acid-loving plants.